Three-fourths of people purchase something after seeing it on a social media site, according to Sprout Social. Of course, in order for that to happen, you have to get your products out in front of your customer base. You can use social media ads to accomplish this in a short period of time. Not all ads are created equal, and if your ads don’t resonate with social media users, you won’t make any sales. Follow some tips to improve your social media ads so you can get results. When you get down to it, marketing usually isn’t authentic. Brands use marketing to look clever, unique, and appealing, all while sweeping anything negative under the rug. The ads aren’t used to connect with customers. They’re used to make sales and beat out the competition. That’s worked for years, but social media has changed that. 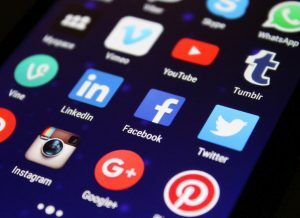 Social media connects consumers to brands in a fresh new way, and now, people crave authenticity and transparency. They want to see beyond the advertising talk and get to know the real brand. At the same time, stay true to your brand. The best advertisers learn how to align authentic marketing messages with the brand’s overall message. When you sign into Facebook, you come face to face with one ad after the next. Some of the ads aren’t very useful. For instance, if you’re on Facebook, you probably don’t want to click on an ad to purchase a sweater. You’re not in a sweater-buying mood right at that moment. On the other hand, if you’re on Facebook and you see an ad about how to hit the mark with winter fashions, you’re much more likely to click on it. How-to videos perform really well because they are useful. Think about ways to be more useful to your audience and then create your ad campaign. It’s naïve to expect a fast response from social media users. The majority of people need to see a product 2–4 times on social media before buying it, and close to 20 percent have to see it as many as eight times. That means you shouldn’t pull your ads just because they aren’t getting the conversions you want. Of course, if the same people see your ads 10 or so times and you still aren’t getting conversions, it’s time to make a change. You should test all of your ads against one another. Test headlines, calls to action, and other components of your ad to make sure everything is optimized. Only test one component of the ads at one time, though. If you test more than that, you won’t know what needs to be changed. Social media advertising is an effective strategy, as long as you create the right type of ads. Use these tips as a guide to improve your social media advertising campaign. Then, you should notice a boost in conversions.